Hemp - Superfood is gaining in importance today. Hemp products are ideal for our body thanks to their numerous nutrients. Healthy and tasty - for the whole family. Hemp products are rich in many rare substances, proteins, CBD and other cannabinoids. Hemp tea has been consumed for thousands of years and is a great way to relieve many symptoms. In a report by the World Health Organization, no harmful effects were found by the use of cannabidiol or CBD, but rather found a positive effect. 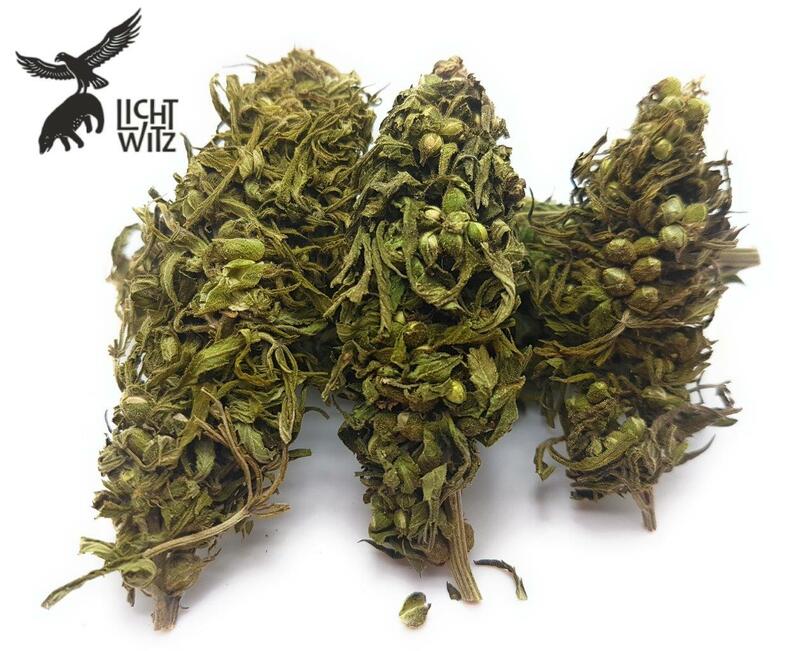 The CBD products presented here are obtained from specially bred hemp varieties with a very low THC content. These may be legally cultivated in the EU by farmers, and do not cause any psychoactive effect. Interesting is the included CBD, which is very diverse. 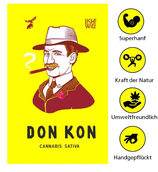 DonKon hemp tea is made from cannabis flowers of the cannabis sativa L.
Hand picked and packed with love. 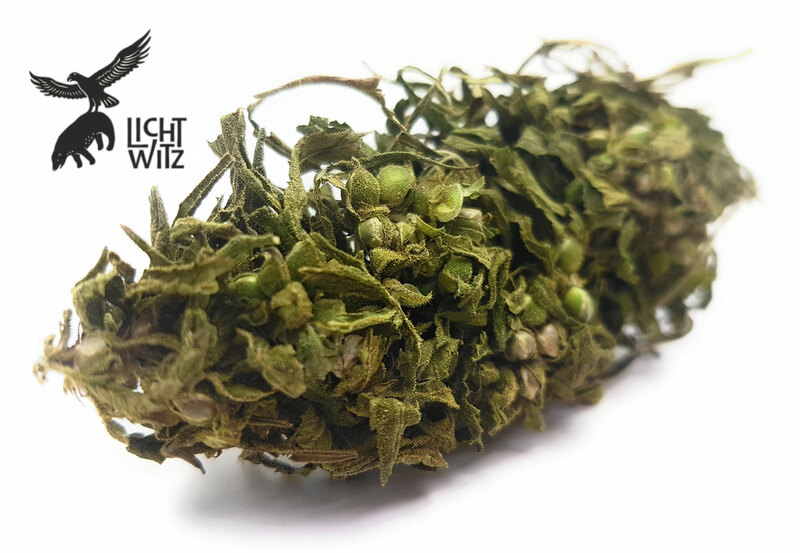 Since within the inflorescences of the hemp plant, the CBD is available in different concentrations and we are interested in a balanced taste, only complete inflorescences are processed in the best quality. The final product should be a tea with a balanced aroma and a mild natural taste. Our Don Kon cannabis tea is completely processed by hand from beginning to end. 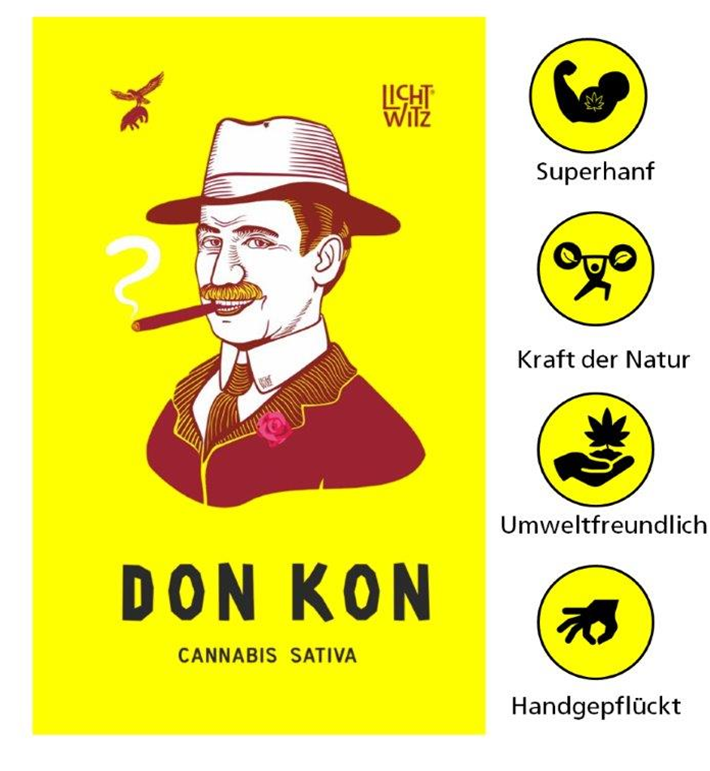 Don Kon - Cannabis flowers in pure form with a very intense taste. CBD hemp tea is a blend of flowers and hemp leaves with high content of CBD (1.6 - 1.7%) in organic quality. The harvest was lovingly picked in September by hand and gently dried. CBD has a calming effect and has a positive effect on the immune system. The cannabinoids work together with the endcannabinoid of the body and produce different positive effects, such as. Healthy sleep. Hemp helps to harmonize all natural processes in the body and supports its natural defenses. 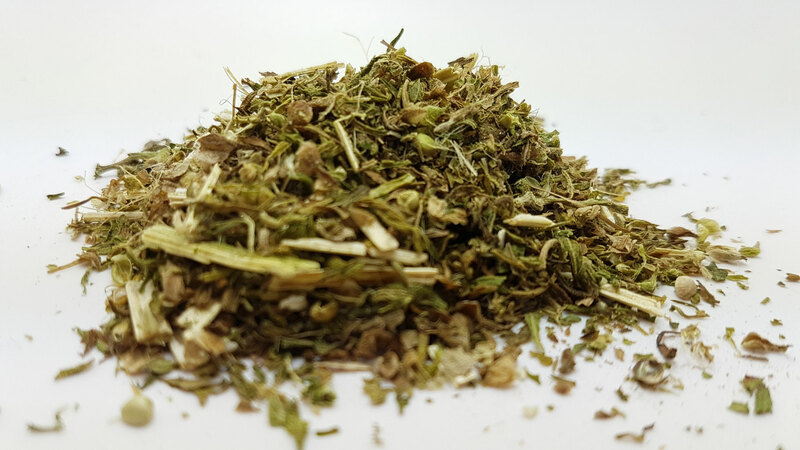 The CBD content of our products is dependent on nature - so we harvest milder and lighter hemp tea varieties earlier in the year and later in the year by solar power stronger and more aromatic hemp flower with more natural active ingredient complexes. In the case of hemp tea, the alarm bells ring for many people. But unlike the suspected, the tea is quite legal to buy in the trade. The tea consists of hemp buds, hemp leaves and is doused with hot water. Most agrarian economic hemp varieties are used, which have a content of max. 0.2% THC and about 2% -5% CBD. There has been a recent trend towards hemp varieties that have a higher CBD content and should serve as an alternative to smoking. Of course, this quickly raises the question of how hemp tea actually works because the cannabinoids contained in cannabis are only soluble in alcohol or fats. This question we have in our article a little closer. Also in Germany you can buy hemp tea quite legally. The tea is extracted from fiber and hemp. 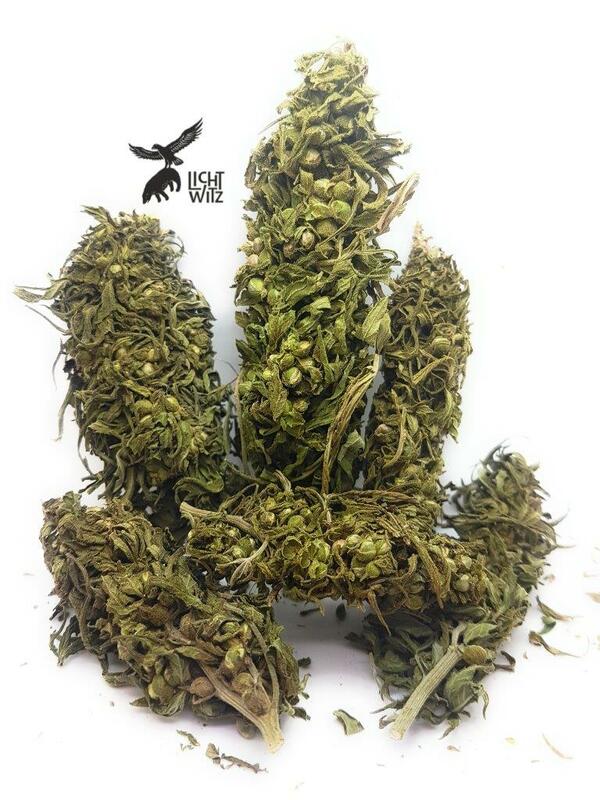 This is characterized by the fact that it contains THC, the content is less than 0.2 percent. In Germany, it is so regulated that only hemp with THC content may be grown and imported, if this is less than 0.2 percent. In Germany, the cultivation of fiber hemp was legalized in 1989. This in turn has the great advantage that hemp tea may be purchased legally with certified organic THC. Of course, there is also the possibility to obtain his hemp tea legally from abroad. Here it should be ensured that the tea with THC has a certified organic origin. This protects against harmful ingredients, such as residues of chemical fertilizer. It should be noted, however, that as a private person you can not simply grow fiber hemp. Legally allowed is the cultivation of fiber hemp, ie food hemp, only main commercial and agricultural enterprises, which meet strict conditions and have a managed minimum area. Hemp contains over 1,000 different ingredients, including flavonoids, terpenes and, of course, cannabinoids. Since most ingredients are water-soluble, they can be further processed for tea. Because of this combination of active ingredients, it only comes to the effect of hemp tea ever. It should be noted here that extracted CBD or THC do not have the same mode of action as the plant for smoking. In addition, hemp seeds contain hemp seeds, usually in chopped form. The hemp seeds contain fatty acids or oil, which dissolve in the water and bind the cannabinoids, as these are only partially soluble in water. 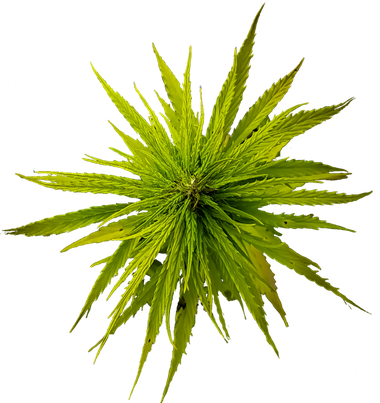 THC is again water soluble at 2.8 mg per liter, which helps to dissolve the 0.2 percent THC from the plant material. Due to the low THC content of the hemp tea is not intoxicating and therefore does not represent an alternative to THC smoking, because there are always people who want to try Hanftee due to this. What types of hemp tea are there? Here one differentiates between the "normal" and the CBD hemp tea. The difference between these two types of tea is that they use mature cannabis buds for the CBD variant and green and young buds for the "normal" tea. 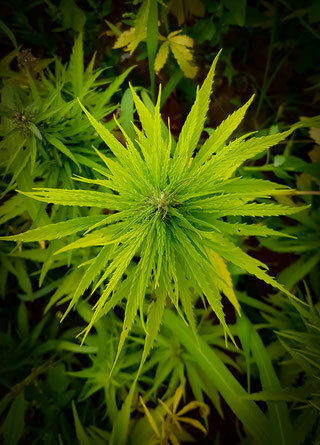 The CBD tea can also be made from leaves of the hemp plant. In order to obtain as high a content as possible from the CBD, this tea leaves are hand-picked only at the beginning of autumn. 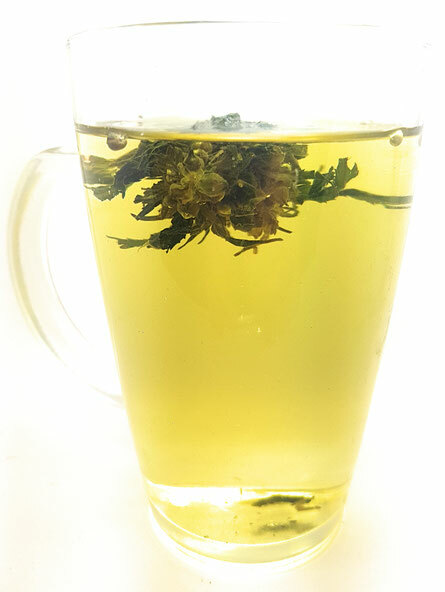 CBD hemp flower tea from leaves is an old tradition to reduce various ailments. But there are many more varieties. So there are hemp mixtures that are supplemented with mint but also varieties with fruits or goji berries. The latter are especially suitable for people who do not like the classic hemp taste and want to cover it up a bit. Not to be forgotten, of course, are the healthy ingredients of goji berries. Incidentally, you can also buy portioned CBD tea for an uncomplicated preparation. For which variant you ultimately decide here, of course, always depends on your personal taste. Then there is a very special form of hemp tea called ganja tea. Here, preference is given to mixed cultures, as the cultivation of cannabis in Jamaica is still not allowed or illegal. The mixed culture serves here the optical camouflage. 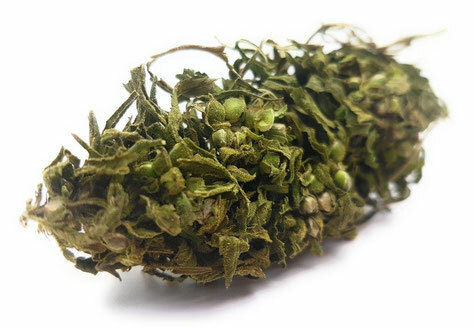 The Ganja tea is not made from leaves that are dried from the older plant. It is prepared from the freshly picked leaves of the young plant by pouring hot water through this plant. Not like smoking THC, this tea should not be high and it does not. 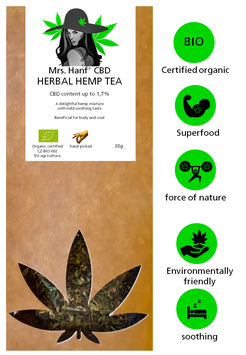 Hemp tea can be prepared in a simple and uncomplicated manner by stirring 1 tablespoon of the buds or powder into 250 ml of boiling water, depending on which version you buy. Then the tea should be left for 5 to 15 minutes. The longer the brewing time, the stronger the tea's effect. Depending on the mode of action, ie which complaints should be alleviated, the tea can also be added to various ingredients. So the taste can be adjusted according to your own preferences. For example, add some butter, a few drops of oil, a spoonful of cream or some lemon to the tea. This not only improves the taste, it promotes solubility and at the same time the absorption of cannabinoids. If you want to cover the bitter taste of the tea, you can also turn to honey. Before the tea is consumed, it should be strained or the powder or buds filtered out. Then nothing stands in the way of tea enjoyment. Maybe you got the taste? Then it's high time to try a hemp flower tea. What to pay attention to when buying hemp tea? As with other tea varieties, there are also great differences in price and quality of hemp tea, so you should pay attention to these areas when buying. Hanftee is available both in the pharmacy, but also in drugstores such as DM or Rossman. They can also buy hemp tea online, and here too there is a very large supply. Of course, it is not recommended to buy hemp from a friend next door who offers hemp, which is usually intended for smoking. This is illegal and this hemp usually has a much higher content of THC, which makes high and this is not known to be the goal of hemp tea. It is better to buy hemp tea in normal trade. This is, as already mentioned, although with THC, but to a much smaller extent, so it may be sold legally. Basically, you should pay attention to high quality when buying hemp tea and these variants also necessarily prefer. These teas are made from leaves with THC, but they are significantly poorer in THC because they are the leaves of forage hemp plants. So you do not have to be afraid of side effects, even at higher doses. 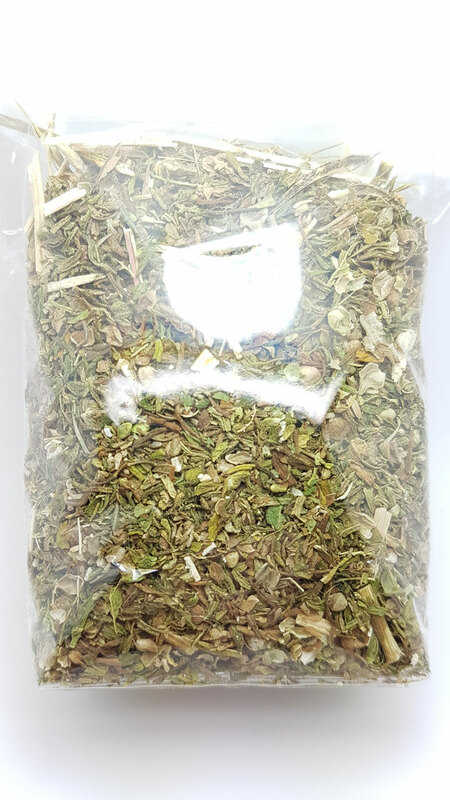 Regardless of whether you buy your hemp tea at DM, in the pharmacy or on the Internet, you should also take a closer look at the price. Quality always has its price, which is why hemp flower tea is always slightly more expensive than, for example, conventional chamomile tea. It is better to invest a little more with Hanftee, to be sure that it is a pure tea with a good aroma that does not require any additives. For example, DM offers a tasty hemp tea with fruits, with DM offering many more hemp products like seeds or even organic hemp flour. In the pharmacy you can also be sure that the selected tea is of high quality, even if the prices in the pharmacy are slightly higher. All in all, when buying and using Hanftee, be it from a pharmacy, an online store or a drugstore, you do not have to worry about it being intoxicating. With the classic THC smoking tea has a lot to do. Due to its beneficial ingredients, it is now increasingly referred to as superfood and to alleviate various ailments. Our products are NOT medicines (medicines), but dietary supplements. 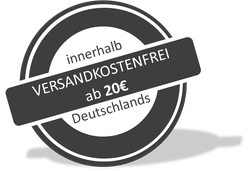 The information on Mrs-Hanf.de describe exclusively the nutrition-specific or physiological processes of the offered nutritional supplements. In no case is it intended to replace a doctor's recommendations or treatments, or to diagnose or treat a disease. Anyone who wants to treat a particular illness or diet should therefore in any case seek medical advice before taking a product presented on this website. We recommend to choose a doctor who has a sound knowledge of vital substances, because only this can give competent recommendations and evaluate any side effects or drug interactions. Dietary supplements are intended to supplement the normal diet with nutrients or other vital substances which have nutritional or physiological action and are presented in metered form as capsules, tablets, troches, powder bags, liquid ampoules, liquids and powders or similar dosage forms for administration in measured amounts. 18+ The sale of our products may only be made to persons of legal age.